I assume I won’t be the only one paying at least some attention to the Cards and Pirates tonight. Correspondingly, feel free to use this thread as an open discussion for tonight on that game or whatever else you want to talk about. Life is good in Reds Land right now. I turned it on my phone. Just saw Jones crush one out for a two run lead for Pittsburgh. Too bad the Reds season ended last weekend. So does the fact that Wainright pitched less than stellar and Miller is struggling early result in Molina not catching? I have to root for the Pirates, if for no other reason, I would have to bathe in bleach if I rooted for the Cards. If the Reds don’t go very far, I will be pulling for the Pirates. Reds really need to take at least 3 of 4 from the Brewers and do no worse than split with the Snakes to keep the good times rolling. The upshot is the ‘Rats head on a west coast swing soon and, if it’s as bad for them as it is for the Reds, could be the moment when the Reds finally reclaim their spot atop the NL Central. Of course, you also have to hope the Cubs play angry against St. Louis in their next series. @CI3J: Depending on what happens over the weekend, that series against Arizona could be really big. The Diamondbacks are realistically the only NL team that could sneak its way in with the other five teams (STL, PIT, CIN, ATL, LAD). Unless you want to count Washington, but I’d say put a fork in ’em. Coolstandings gives Arizona a 19% chance at the playoffs, compared to 88% for the Reds. Would love to see those numbers around 10% and 95%, respectively, once we’re done with those snakes. The biggest thing that strikes me when I watch two non-Reds teams play is almost always just how much we take for granted our infielders. They have more range as a collective group than almost any other team I’ve seen and they make a lot of plays for us. Biggest positive surprise for me this season has been Frazier’s defense at 3B. I thought for sure it would be a big step down from Rolen but that has been far from the case. He must have worked like a dog in the off-season to prepare so well for this year. Wow, was Liriano this good against us? He’s making the Cards look pretty bad. 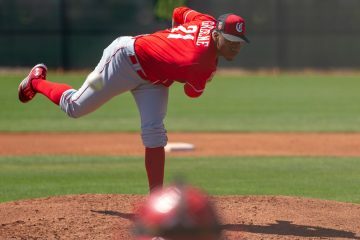 Reds sign another Cuban defector for 400K, last name Medina. @hoodlum: Ok – that made me laugh a lot. This is starting to get ugly for the Cards. 5-0 drubbing in the 4th … going to take some work for the Angry Birds to come back. A split is what we really wanted, right? I love watching the WLBs lose. Just. Love. It. @RedTitan19: Joey Votto’s jersey isn’t paid to attend Pirates-Cardinals games. @Baseclogger: It can, as long as it doesn’t walk to get there. @preach: Best few comments I’ve seen in awhile! 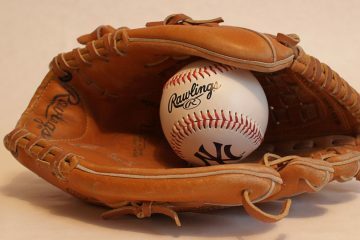 @RedTitan19: Isn’t that bad baseball etiquette? I’ve gone to a fair share of Pirates games here in Pittsburgh, and if the Reds aren’t playing, then I don’t wear any baseball gear at all (still can’t bring myself to wear a Pirates shirt, even with the 4 or 5 t-shirts I have from free t-shirt Fridays at the stadium). Brewers are only in the 4th inning in Dallas. I hope this one goes all night. Looking like the Reds will be 3.5 back and 0.5 game from St. Louis. I am looking forward to being in second by the weekend and closing in on first by the end of the Pirate west coast trip. I know it’s a different season and team, but I can’t help but to expect a crack in the bucco armor. They are famous for late season swoons, and I think if they run into three losses in a row, panic may start to set in. At least I can hope, right? Cards lose. MLB Network just reported Molina is back tomorrow. MLB Network just reported Molina is back tomorrow. This, sadly, is big for the Cards. We had trouble beating them withOUT Molina in that lineup. 3.5 games back with an 87.7% chance of making the playoffs. Now if the Birds take out the Rats tomorrow whilst we club the Brewers … wouldn’t that paint a nice picture. So I need a little help from one of the stats gurus that lurk about this site. I was just admiring the latest changes in the standings and find myself a bit puzzled by the POFF (chance of making the playoffs) numbers. How is it that the Cardinals actually have a slightly higher chance than the Pirates right now (.969 vs. 959) even though they are a full three games back? And how is it that a small half game lead over the Reds translates to a large difference (.969 vs. .877) in the POFF column. I’m sure there’s some sort of run differential / expected wins / Stratomatic says so type of explanation but I’d be curious to hear some background on this one. Any help? This little oddity is P’ing me OFF. Thanks! @Chris DeBlois: COMPLETELY guessing here with no real basis to it, but offhand, I would imagine that quality of opponents in the remaining games have a part in it. The Reds are feasting on some Cubs/Brewers action right now, but then they have 4 vs D-Backs, 3 @ Cardinals, 3 @ Rockies (don’t sleep on a team with three starters rocking an OPS over .900), 4 more vs Cardinals, then 3 vs Dodgers. That is a pretty darn brutal 17 game stretch right there. Then they get to feast on some more Brewers, but there’s still another two series against the Pirates after that. @ToddAlmighty: So of their remaining 42 games, 23 are going to be against tough teams, 16 will be against the Brewers/Cubs/Astros, and 3 will be against the Mets who I guess don’t fit in either of those two groupings. I was looking at the Reds, Cardinals, and Pirates remaining series after tomorrow’s game, and they are remarkably similar. @Chris DeBlois: The play off percentages is a part of a theorm that was designed by a site at coolstandings.com. Essentailly, it takes into account the team, remaining games, SOS, home vs. away, past results, etc etc and gives the team a percentage chance at making either 1 of the 2 WC spots or winning the division, and then adds those 2 totals up to get the % chance they make the playoffs. I would say the slight difference is probably the past history part. These things mean little to nothing–seriously. I’m pretty sure the POFF percentages involve advance metrics like run differential, but in reality all of these “probabilities” tell us little of what will happen, in particular cases, in the future (including all of the advance sabermatrics). I don’t know enough to say for sure, but my guess would be the specific issue you point out has to do with run differential (since the cards are +80 over the pirates). A few years ago when both the Braves and Red Sox collapsed in the same season, they both had something like a 99% probability of making the playoffs with a few weeks to go, meaning that both of them not making it simultaneously was like a .01% “probability” which is “statistically” nearing impossibility. But it obviously happened, and will happen again within the next forty years (which again would be a statistical anomaly). Such probabilities only have meaning–and very minimal at that–in large numbers, and thus have no predictive power over what will happen this year, in particular. Clearly the Cubs are not making the playoffs, even though it is still mathematically possible at this point, but beyond that, there is a lot that could happen. This is why I find sports fun, and also why I find the obsession with such probabilities fascinating. Having watched all 3 teams a lot this year, I think the Reds and Redbirds are better than the Pirates. I know the Pirates are in 1st place, they just dont seem very dominating. It seems like half their victories vs the Reds the reds should have won. They dont have a great offense. @Larry1980: The Bucos go as far as their pitching carries them this season. The Bucos have only one starting position player (but he is one of the elite players in the NL) that I would opt for over the Reds’ starting position player, but the Reds certainly have issues among their starting position players. I’d take Sterling Marte in LF over any of the 4 the Reds have played there. I live in central California, where the fan bases of the Dodgers and Giants meet. Last September was unbearable for me as a die-hard Reds fan following the loss to SF in the playoffs.Some of the Giants’ fans were a little difficult to take. I don’t mind L.A., now that the Dodgers and Reds have long been out of the same division, and since the Dodgers haven’t won since 1988. Besides, Los Angeles is a great city. Of course, I don’t want the Reds to lose to LA this October. 1990 is a long time past.Just thought I’d add my two pennies.GO REDS!!! Kyle Lohse is 5-0 with a 2.56 ERA over his last seven starts at Miller Park, 3-0 with a 1.74 ERA in his last five games. A meeting with the Reds would seem to be in his favor since he’s 3-0 with a 1.95 ERA over his last eight starts against them. We’ve got our work cut our for us tonight. @Sultan of Swaff: The bright spot is that those seven starts at home came against A’s, Phillies, Cubs, Reds, Marlins, Padres, and Nats, so not exactly teams that are difficult to shut down. The Reds touched him up for 9 hits and 3 ER in 6.2 innings during that stretch. That was the game where Votto was robbed by Gomez on the last play. With a Pirate win this afternoon and a win against the Brewers tonight, the Reds will be in 2nd. place and ready to go after Pittsburgh who has a weekend series against Arizona. @vegastypo: Does a caught stealing with 2 outs (even at 3B) qualify as a full blown TOOTBLAN? @Shchi Cossack: I thought any caught stealing fit the category. To me, it’s worse when you take the bat out of your cleanup hitter’s hands in that spot. Making the third out on a failed steal of third = stupid. @vegastypo: No question it was stupid and even moreso if Molina behind the dish is factored into the decision. I just figured TOOTBLAN took stupid to another plane entirely. @Shchi Cossack: i guess today’s was only a grade B Tootblan, not the grade A variety like X Paul tagging up at first base the other day !!! Pretty interesting stuff about replay coming next year to virtually everything except balls and strikes. (Which must make Angel Hernandez feel better.) Managers will get 3 challenges a game, I think. Molina returns to the Birds’ lineup and 1st pitch IF popup. AJ Burnett looks very sharp and in control today. The Birds could be in for a very tough day. Burnett strands runners at 2nd and 3rd to end the 4th. Molina was the last out. heh. you gotta be kidding me. Barmes? Really? 3-0 Pirates…. Barmes goes deep on Lynn just after a rookie got his first big league hit and RBI. Not that I mind seeing Lance Lynn getting roughed up, though. The guy has feasted on run support this season, would love to see the averages even out a little bit in that regard. Matt Carpenter is other-worldly. He is every bit the assett at leadoff as Choo and like Choo is also playing out-of-position and playing stellar defense. Unfortunately, unlike Choo, Carpenter is under team control through 2017 rather than just this season. Today, carpenter is 2-2 with a leadoff IF single and a leadoff 2B. Those are the only 2 hits for the Birds against Burnett. @Shchi Cossack: Yep, I think Carpenter is the real deal and might even compete with Votto for league lead in OBP in the future when he peaks. @prjeter: I think that might be a bit much. Votto has had an OBP over .410 for the last 5 seasons now, or since he was 25 years old. Carpenter is 27 and has a .380 OBP. Impressive, but I don’t think Votto is sweating too much. I’m trying hard not to be giddy about the Cards’ collapse. But as long as Molina is on the team, I think I’ll partake in a little bit of schadenfreude. @renbutler: yeah, ’cause here they come again. Classic Cards… two on the board and going after giving up 4. And in the blink of an eye, the Cards’ hitters bail out Lance Lynn. @vegastypo: My fault. I retract my schadenfreude. @renbutler: Shame on you! Just shame, shame, shame! You would think that someone of your age and your intellect would know when to leave well enough alone! Is Dusty managing the Pirates right now? I can’t imagine any other reason someone would leave their starter in to give up 5 runs in one inning, blowing a 4-0 lead. It was pretty clear he wasn’t fooling anyone that inning. They were just mashing whatever he threw. @ToddAlmighty: The answer is that every manager does things that might seem unusual or questionable. It was pretty clear he wasnÃ¢â‚¬â„¢t fooling anyone that inning. They were just mashing whatever he threw. @ToddAlmighty: You are absolutely correct in your description of Burnett’s collapse. For 4 innings, Burnett was simply dealing and no one, except Carpenter, could touch what he was dealing. In the 5th inning, everyone simply hammered Burnett, suddenly and without warning. I’m not sure how quickly Hurdle could get someone warmed up considering such an implosion. After Descalso’s RBI single to plate 2 runs with no outs, I think the bullpen got busy, but it does take time to get warmed up. Matheny, with the Cards down 4-2, sacrifice bunts Lance Lynn (who popped up). He then replaces Lynn with a relief pitcher the next inning without Lynn throwing a single pitch. All managers, everywhere, are terrible at everything. No, this is not a generalization. 😀 NL managers just get more of a chance to show how horrendous they are. That’s the “strategy” the NL is saving by keeping pitchers hitting. All managers, everywhere, are terrible at everything.No, this is not a generalization. NL managers just get more of a chance to show how horrendous they are.ThatÃ¢â‚¬â„¢s the Ã¢â‚¬Å“strategyÃ¢â‚¬Â the NL is saving by keeping pitchers hitting. That’s a bit of an exaggeration, but it puts some of the endless complaining about Baker into perspective. Man, I am sure glad the Reds don’t have that home plate umpire today. He’s been calling some ridiculous strikes way outside. And it’s a brand new ballgame, tied 5-5 in the top of the 7th. Clint Hurdle has pulled out all the stops after Burnetts collapse in the 5th inning. Through 7 innings, Hurdle has used 4 of the available 5 pinch hitters from the bench, leaving only the rookie backup catcher, Tony Sanchez, who is hitting a measley .188/.229/.250, but he has the game tied at 5 runs apiece going into the 8th inning. @Matt WI: Burn up those bullpens…both of them! @Shchi Cossack: Amen. I’d love for the Cardinals to be limping in to get roughed up by the Cubs the Reds just swept. Wow… only the 8th extra inning game for the Cards. The Reds did that in the first week… and yes I know that’s hard to do. @Matt WI: I am watching on mlb.tv Finally able to use it.. The Reds are in my region so I cant see the games on mlb.tv but can listen. The Birds’ closer is in his 2nd full inning of relief. Hurdle sends his lone remaining pinch hitter, rookie backup catcher, Tony Sanchez, who is hitting a measley .188/.229/.250, to the plate with Tabata in 2B and 1 out. Sanchez walks! @Shchi Cossack: And the Pirates pull up lame after 2 on, one out. Darn. @Matt WI: I know right.. come on Pitt. Mujica finishes 2 complete innings of work, 24 pitches, shutting down the Bucos and sending the game to the bottom of the 11th. The Reds are now what? Three games back? Great day to be a Reds fan. @TC: When we win tonight we will be 1/2 a game behind the cards and 2 1/2 games behind pitt. BTW – I don’t know if anybody else tracks these types of things, but Pittsburgh has better giveaways. This weekend there is a series of benefit to the Reds as well. Pirates v D-Backs. If the Pirates lose, the Reds can gain in the division. If the D-Backs lose, the Reds can improve their lead in the wildcard. The Cardinals have the opportunity to get healthy by playing the Cubs and Brewers next. But then they have Hotlanda, Cincinnati, and the Pirates again. The chink in the Birds’ invulnerability gets wider and wider. Their pitching staff struggles more and more. After 1 complete, Cubbies up on the Birds 3-0. Westbrook had a 30 pitch 1st inning, aided by a double play. @Shchi Cossack: Oh Yeah Buddy, indeed. But it’s the Cubs and at some point the Cubs are gonna cub. But itÃ¢â‚¬â„¢s the Cubs and at some point the Cubs are gonna cub. But they’re playing the Birds and ChiTown prefers to pluck rather than cub when they’re playing the Birds. Cubs up 4-0 after 5 innings complete. Westbrook has thrown 89 pitches and the Birds bullpen has endured 2 extra inning games against the Bucos.